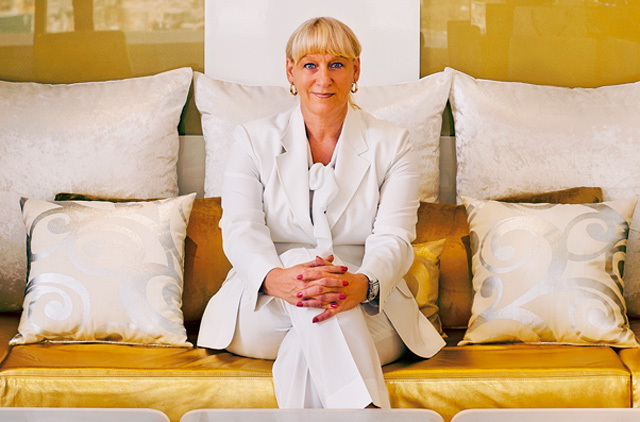 You may expect the award-winning and highly successful Complex General Manager of Grosvenor House, a Luxury Collection Hotel, Dubai, and Le Royal Méridien Beach Resort and Spa, Pam Wilby, to be tough as nails. But she turns out to be just another loving woman. The ebullient and charming lady considers her staff as her family, and treats them as such. The reason may be that single Pam, 53, comes from a large family, the eldest of six children. And she started looking after her siblings at a very young age. “That was where I learnt my values in life, to put in more than my 100 per cent to keep us all together,” she smiles. Though her approach may appear to go against what is written in most management books, the proof that what she’s doing is bang-on is the prestigious General Manager of the Year, World Travel Personality award from World Travel Awards that Pam received recently. “We tend to forget that a happy staff ensures happy guests,” she says. A vein of humility runs through her naturally friendly personality. From being a nurse in the UK to managing prestigious hotel properties in Dubai has been a long and hard climb. But Pam’s wants and needs remain simple, and her quest to excel at work continues. The reason for our success is very simple. Between the two hotels I manage – Grosvenor House Dubai and Le Royal Méridien Beach Resort and Spa – we’ve created this family environment, within the teams. We treat everybody as we would want to be treated ourselves. That’s really our philosophy in a way, and the philosophy of Starwood Hotels & Resorts. Today, we have 2,500 staff of 50 different nationalities. So it’s very important that we understand each other’s cultures, each other’s values, and our upbringing. We love celebrating successes together and acknowledging individuals who go beyond the call of duty. That’s very important. Whenever we achieve outstanding results it’s important that we celebrate those together. Each year we host our annual staff awards which we call the Grosvenor Grammy’s and the Royal Oscars! Throughout the year we measure the teams and the individuals to see who’s gone beyond the call of duty and who’s achieved more, and who’s been an inspiration to the team. We celebrate these successes in two gala dinners just like the Oscars. We have the glitz and the glamour; everybody dresses up. We have an award for achievers in every department. We make sure everybody’s had a great time and the achievement of each department is appreciated. We support each other and look at strengths and weaknesses in each other. That in essence is our working style. My personal style is very direct, very transparent. I am a quick decision maker but I also make sure that I make the right decisions. I do take calculated risks. That’s why when you look at the success of our hotels it’s because we’ve taken calculated risks and gone beyond the boundaries of our industry and thought very differently. For instance, we were the first to bring in brand partnerships. By associating the Grosvenor House brand with unique brands out there such as Gary Rhodes, Toro Toro, Buddha Bar, or George Entertainment, we came up with something unique. You learn from those partnerships. It’s important to change and embrace what’s going on around you. You have to go with new ideas and be the first to come up with new ideas. You have to be the market leader. I’ve made sure that whenever my team travels we always stay in the best hotels, we experience the best service, so that we come back with unique ideas and look at how we could put them to use in our hotels in a different or better way. There’s always room to learn. I love having young inspirational people around me who keep me going and push me in different directions. I’ve now been in Dubai for 19 years. I came here as assistant general manager. In 2000, I was promoted to general manager. At that time we were going through a change in the hotel, from Méridien to Le Royal Méridien. We built the extension tower, upgraded our standards, our service, and started my team’s journey towards quality. It was very difficult to make the team understand then that we could do things better because we’re good. But we’re never good enough. That drove my desire to improve. Initially I didn’t train in hotel management. I am a qualified nurse. I liked nursing, but wanted to travel so worked for an airline in the UK for about two years. However I couldn’t see myself progressing there so I joined the hotel industry because my brother who worked as a pastry chef in a hotel used to tell me how much fun the industry is. 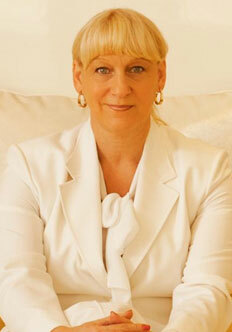 I started as a receptionist in 1982 at the Heathrow Penta Hotel in the UK. There, I got a grant from the Hotel & Catering International Management Association (HCIMA) and used the money to do management and catering courses at various training schools and rose to become front office manager. In 1988, I was approached by the Forte Hotels which Le Méridien used to be part of. I worked at one of their hotels in Heathrow. When I look back, I realise I am still with that company though it went through many changes – Forte was sold out, and Le Méridien, which was a part of it, was sold to Starwood Hotels & Resorts eventually. So here we are. My move to Dubai in 1993 was a bit of luck actually. Gerald Lawless, executive chairman of the Jumeirah Group, was instrumental in getting me here. He worked for Forte Hotels then. When I was working as Rooms Director with the Cumberland Hotel in London, he asked me if I’d thought of going to the Middle East. I’d been here on vacations but never thought of working here. The opportunity was with Le Méridien, a part of the Forte brand then. So, on an impulse I decided to take it up. About 11 years back when my predecessor retired I took over as general manager. Two years later when the new hotel was being built, we were given an open canvas to make Grosvenor House what it is today. It’s been a great journey, but I always say to my staff: never forget where you come from, and the values in life. I try to keep my feet on the ground, because the pace of this place can have you spinning on your heels if you let go. It’s very important to be humble. Because I was given that opportunity to get ahead, it encourages me to give others the same opportunities. I’ve an eye to spot talent and develop them. One food and beverages manager here was a pool bar, bartender and cashier earlier. I think when you develop your team it encourages a lot of passion and loyalty in them. Sometimes, loyalty beyond reason. In my dictionary there’s no such word as failure. We make everything work. Maybe we’ve to fine-tune or change strategy, but we’ll make it work. We’ve been recruiting from all sorts of exotic places. The crew at Toro Toro are all from Latin America, a new experience for us. Looking after guests is one thing, but looking after the staff is another job and a half! Making sure they have the right food, the right clothing, among other things is a real job. I am their mentor and give them support. A happy staff ensures a happy guest. It’s an easy philosophy to run a hotel, but some people try to complicate it. My biggest influence has been Shaikh Ahmad Bin Saeed Al Maktoum, President of Dubai Civil Aviation and Chairman and Chief Executive of Emirates airline and Group. His foresight within the industry, his vision, is what propels me and my team forward. Personally my parents have been big influences. Especially my mum who instilled my values in me. I was the oldest of six children. As the rest of the siblings came my responsibility increased. One important thing she taught us was that no matter what, we had to have fun. She also taught me to love and look after the people around me. That’s what I still do. My father was the one who influenced my work ethics. He’s 80 years old and used to work so hard, drive himself for us. I got my love of work from him. When I was in junior school my mother took me out because there were 40 students and she felt I wasn’t getting enough attention. I was a very quiet and insular child then. She knew that wasn’t my personality. She put me in a private school which wasn’t only academic. In the morning we’d study, and in the afternoon we’d learn dancing and poetry and elocution. There were only ten students. I grew confident under the individual attention. I went back to a state school later, but I remained the confident outgoing person I became. I also became an athlete. I ran the 200 metres race for Sussex. To run for your county is a big thing in the UK. My mum encouraged me; she’d been a hurdler. She would push me into things I’d hesitate over. I became a role model for my brothers and sister and helped them all at some stage. I love the sea. I am with people all the time, so sometimes it’s nice to be all by yourself. Today, luxury for me is being able to go home at 7pm and watch television! I am single. I say I am married to the hotel, so I have 2,500 staff to look after! One of my dreams when I was young was to own a Bentley Continental. I wouldn’t buy it while I am working here. One of my bosses told me to never have a car better than your boss. I’ve never forgotten that. My dreams are to continue pushing the boundaries in the hotel industry and to make the Grosvenor House and Le Royal Meridien Beach Resort and Spa iconic hotels. I want to carry on helping my team and give them the golden opportunity that was handed to me. Dubai has fulfilled many of my dreams already. It will always be home for me. My dream is to stay on here and retire. When you are younger the materialistic things are the most important things. But they don’t matter so much as you grow older. The quality of your life and being happy in your work and life is most important. I don’t look on my job as work. I look on it as a way of life.